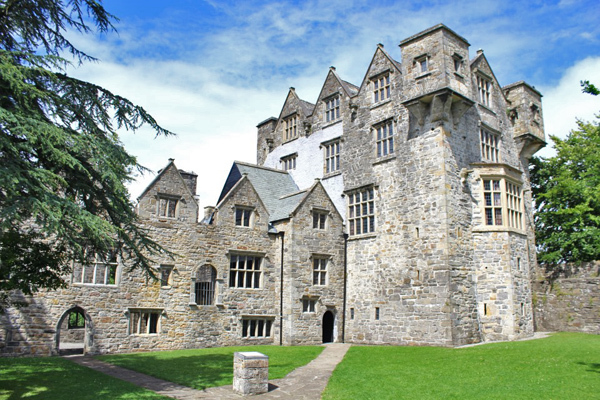 Have you ever wondered if any of your ancestors came from a wealthy family, perhaps even from one of the Royal families of Ireland? 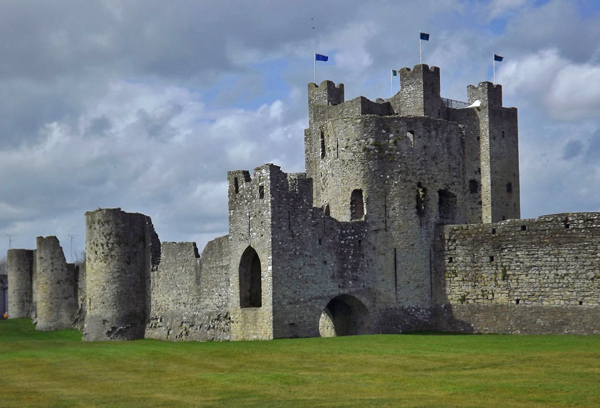 In this letter I will share with you the stories behind the Royal Families of Ireland, and their surnames, as well as sharing pictures of the many royal castles of Ireland. Céad Míle Fáilte – and welcome to your Letter from Ireland for this week. If this is your first time here you’re very welcome, I hope you enjoy reading this Letters from Ireland (if you would like to start receiving a FREE Letter from Ireland straight to your inbox every week click here). Today we’re going to have a look at the royal families of Ireland – and their surnames. For hundreds of years to up the arrival of the Normans in the late 12th century – Ireland was divided into many autonomous kingdoms – ruled over by a “Ri” or King. These Kings won their lands through military and political might – the boundaries of their kingdoms were constantly changing with the ebb and flow of power. In fact, you could say that it was this arrangement of “tribal independence” that made Ireland so vulnerable to invasion by a more centralised force down through the years. Do you have a Royal Irish surname? We’re going to choose a particular point in time – roundabout 1515. Why? By that time, the surname system had been fully introduced, so we can mention your surnames in connection with these royal families. Also, by that time, many of the Normans had been fully subsumed into Gaelic culture – adopting Gaelic customs. What was left of the old English administration was in an area around Dublin called the Pale. Beyond that was “beyond the Pale” – a land of individual chiefdoms and seeming lawlessness. These 90 or so “captains” – (by this time also known as “lords” rather than Kings) – were the autonomous royal families of Ireland. These Lords were spread through the 4 provinces of Ireland. 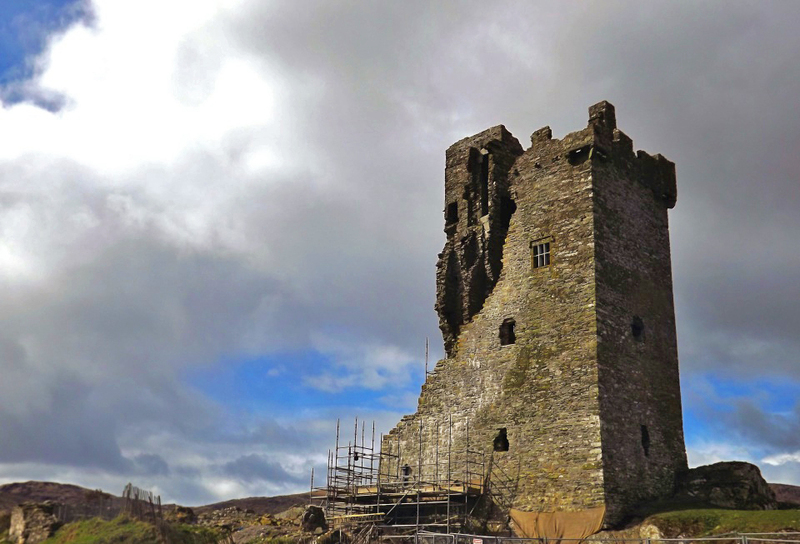 They had their territory guarded by Gallowglass and the towerhouses and castles we see today. A Gaelic revival was also underway – a remembering of Ireland before the invasions of the 1100s. The lords kept historians and genealogists, they reclaimed old royal inauguration sites, they entertained with their poets and bards. They intermarried with other royal families to establish beneficial alliances and sponsored churches and monasteries on their lands. The “overlords” had the right to call up troops from the other lords in their area and extract some taxes – but mostly all of the lordships were autonomous. So, who were these families? I have listed the family names below. Is your Irish surname amongst them? Is there a king in your Irish ancestry tree? If you’d like to find out more about where your ancestors came from why not sign up to our weekly Newsletter. We’ll help you discover how your ancestors lived, what their Irish homeland was like & lots more. Simply Sign up for your free weekly Letter from Ireland by clicking here. Did you see your surname amongst our list of Royal Families of Ireland? Interested in learning more about the Royal Families of Ireland? 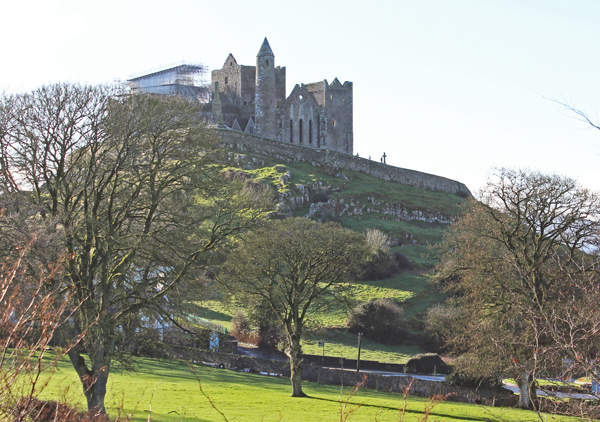 Click here to read the story of one ancient Royal Irish family and their journey around the north half of Ireland over many centuries. If you have any questions, thoughts, comments on any of these families – do let me know in the comments section below! My great-grandfather was Florence McCarthy from County Wicklow according to my baby book. The story my father told me was that he was the sheriff of Knox county in Indiana because he was the meanest man in the county and eventually changed his last name to McCarty because he kept arresting his cousins for stealing horses. Dad also said he was 6 foot 8 which would have been very tall for the time. 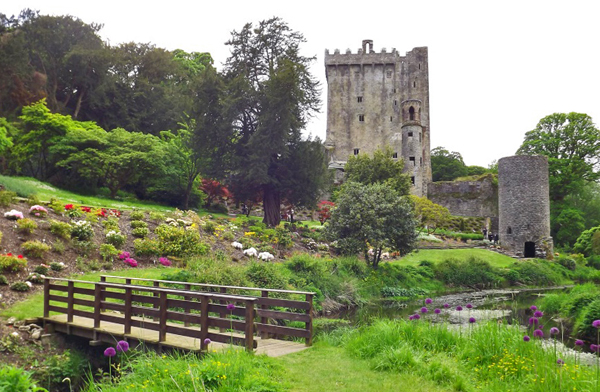 I have visited Ireland and felt a real connection at Blarney Castle and in County Wicklow. Just wanted you to know I’m enjoying your blog. Oh, by the way my maiden name was McCarty. Thanks for the story Patricia – he sounds like quite a character! McCarthy/MacCarthy/McCarty all tend to be the same. There is also a seperate surname from Connaught called O’Carty which can often be Carty. But sounds like you’re from the Royal McCarthys of Munster! I’ve read that Carey or O’Cairdha was a southern part of the O’Neill clan. Do you know if that’s true? Carey is one of those surnames that has a host of different original septs around the country – but one would have been associated with both the Ui Neills of Ulster and the Southern Ui Neill. So…my family line was a mahoney. Would that be the same as o’Mahoney? O’Mahony has often been changed to Mahony/Mahoney in the US – same name! I married a Mahoney. This last April we traveled to Ireland and traveled through West Cork. I took picture of 7 of the O’Mahony Castles. It was amazingly beautiful. Thats right Jeanette – many of the O’Mahony castles are in the most amazing places. I have one at the moment as the cover picture on my facebook page. Do feel free to share some of your photos over there! Mike. James Butler, 1st Earl of Ormonde, from Kilkenny married the granddaughter of King Edward I. Ann Boleyn’s grandmother was Margaret Butler, daughter of the 7th Earl of Ormonde. So the Butlers had ties to the royals of England. Spot on Mary – sounds like you’ve researched your history. 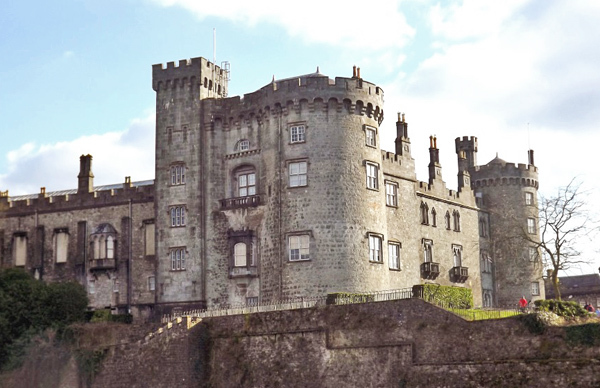 Have you ever been to Kilkenny Castle? Seat of the Butlers of Ormonde – it has a fascinating tour and history. Mike. Thats it Sue – you and your family are in! 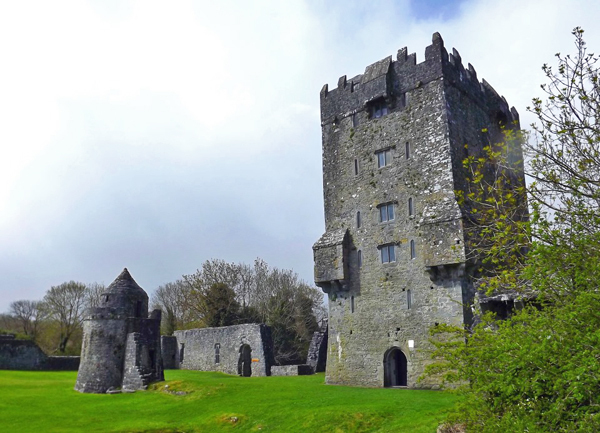 Lots of castles and history from earliest times in Counties Cork and Kerry for the McCarthys! I recently received a copy of a letter telling the history of the family of Wynn (née Staunton) Salter in 1984 when they were probating the will of Molly Sullivan grand daughter of Patrick Staunton and Winifred (Née Ruane) Staunton. My interest in the family is there intermarriages with my relatives the O’Malleys. Although she doesn’t give a date I am going to say approx 1840-1850 based on my knowledge of future generations marriages. She says James Staunton, of Six Noggins, married the daughter of Liam, of Corrymailley she says, and Lady Harriet O’Malley. I would really like to know where would be the best source of information about these people. My O’Malleys are of Corrymailley. Their daughter, she goes on to say, married a Durkan of Tallavbaun. I believe Bridget Durkin to be the eldest daughter of Martin and Anne Durkan of Tallavbaun. Bridget married Willam O’Malley of Correymailley, 1883. They are my great grandparents. the son of William and Bridget O’Malley, James Joseph O’Malley went to live with his uncle Patrick Alfred Durkin in Liverpool sometime before his 8th birthday according to the 1901 census of Liverpool. James Joseph O’Malley married Mary Winifred Staunton (daughter of Patrick J. Staunton & Catherine née Morrison ) Liverpool 1923. Patrick J. Staunton was the grandson of James Staunton of Six Noggins and the daughter of Liam & Harriet O’Malley. Anne – a lot of detail you have there! I believe you are better off working with a Genealogist or the Ireland Reaching Out folks to dig out some more details. Here at Your Irish Heritage we deal with the bigger picture. Thanks for sharing, Mike. I see what you mean Anne. Usually, “Lady” would be a title in Ireland from a time after I set my article (1515). Mike. Yes it was a time before the great famine when the Irish were evicted from their homes. I have never before seen a family member referred to as “Lady” and Harriet and Liam are not the repeated names in the family. Yet she clearly refers to Corrymailley my family’s home. I heard from an Uncle of mine that did some research many years ago that our name was from royalty and our coat of arms even has the royal ermine and quite a story of how we acquired land. There is a red hand on our coat of arms that supposedly came from when two clans were on board a boat racing for a land grab and whoever touched the land first became the owner. I guess we were losing the race and a member of our clan chopped off his hand and threw it to claim the island first. Have you heard this story? Not sure about the story Charles – it sounds great! My research shows that the Quinlans were originally a part of the southern Uí Neill sept who were descendants of Laoighaire – high king of Ireland at the time of Saint Patrick. That may be the link you need 😉 Mike. I really don’t know what you mean by Sourthern Ui Neill, is this Waterford area? Also I am not familiar with Laoighaire. Sorry, just recently got involved in my Irish ancestry so not very knowledgeable on these terms yet. Hi Charles – the Southern Ui Neill were a branch of the O’Neill dynasty who ruled an area around modern Meath and Westmeath. Look them up on Google – theres quite a lot to read! I’d start there – Mike. Thanks for sharing Dixie – Joyce is indeed a very prevalent name in Connaught. I would continue my Joyce research in that area if I were you. Mike. Yep – all part of the “Dalcassian” group of families. Mike. my grandmother researched the McManus family tree and insists we are descended from the First Lord of Fermanagh, don’t see any McManus’s in your list! Do I have to assume she was barking up the wrong family tree??? Oops – three question marks. I’d better tread carefully 🙂 – Nicky – MacManus would have been a sept of the Maguires of Fermanagh so there is a relationship there. But the name that comes through for Fermanagh is Maguire. The MacManus’s were subchiefs under the Maguires (Lords of Fermanagh) at the time I set the article. Mike. I have a death certificate of a grandfather on my Dad’s side, having been born in Prescott, Ontario 1865, whose parents are listed as having come from , it seems. Wexford. Are Kavanaughs prevalent there ? The name on that certificate did NOT have and O’ or was not spelled different or with a C. We have always been with a K . Just curious. 🙂 I have LOTS more to hunt up yet. I also have no info as to how they may have come over, via Ellis or somehow entered Canada. Hi Laura – the name is very prevalent in Wexford and Kilkenny. They would have been a sept of the MacMurrough family at the time I am writing of. In Ireland, the spelling is usually Kavanagh – sometimes Cavanagh. Mike. This is amazing! My grandmothers maiden name was Condon and my married name is now Joyce. My maiden name is Mullarkey, not surprised that ones not on the list ;). I’m glad I subscribed to your page. I find this fascinating and will be suggesting your page to my mother. Thanks Cathy – nice collection of names there! Mike. My wife’s family was Pearse which was changed to Pierce upon entering the US for whatever reason. They came through Canada into the US in the later 19 th century and settled in Iowa as farmers. Where would this name have most likely originated? Pearce and Pierce were old Norman names normally found in Leinster. However – there was also a family of Pearces who were a sept of the Fitzmaurices of Kerry. Mike. This is so very interesting, I’m so glad I found you. And having seen my name listed although its a little different made it even better.Ive been to Ireland, and want to go back! Thats right Peggy – Dougherty is just one version of the original O’Dohertys. Mike. I don’t think so; always the servant – never the served! I do see an O’Reilly, but as much as I know about my dad’s family, the name was always just Reilly. From somewhere in Donegal, no one has ever been able to quite tie that down. His Mother’s last name was Dunleavy and I know that she and parts of her family came from Ballina, County Mayo; I don’t see that name, either. Unless it’s a derivative of another name. My Mother’s family name was Gillespie, from Antrim, I think. Hi Kathi – thanks for sharing. The Dunleavys would have been a royal family from County Down up to the 1100s – when they moved to Donegal. Gillespie was also originally county Down – but later moved to Donegal also. I saw my family name O’Rourke, listed under Ulster rather than Connaught, where my ancestors resided in what is now known as Parkes Castle in Leitrim. I am a descendant of the ancient Kingdom of Breffni. We became various forms of McTiernan (Tiernan O’Rourke) at the inception of surnames. I was curious as to how we came to be listed under Ulster. I have an insatiable thirst for all information pertaining to my heritage as my heart resides in my beloved Ireland. I would be most grateful if you could offer any insight! Michele – you caught me out – you’re right on the Connaught rather than Ulster connection. My mistake – I was thinking Cavan/Leitrim – Bréifne was divided into 2 in the 1200s – the O’Reillys in Cavan (east), the O’Rourkes in Leitrim (west)! On the teeshirts – I have tried 2 suppliers but have been unhappy with the quality. Should have things sorted out shortly. Onwards and upwards! Mike. I thought Cavan and Leitrim were originally part of south Ulster? Originally Connaught John – later split into Connaught/Ulster. Mike. Hi Alana – thanks for sharing. I don’t really have a history of the Roche family myself. They were a Norman family that established a strong foothold in Munster. If you check out the town of Fermoy in Cork – that is the centre of their stronghold around the time I refer to. Mike. I am so mesmerized with all your writings and information. Do you have any knowledge of the Duffy name? I have one picture of my great, great grandfather Duffy who was called the old goat and lived to be 107. He was Irish and we would love to see where that name originated. Thank you Mike, we appreciate everything you teach us. That puts most of my family into Connaught. My paternal great grandmother was Catherine O’Shaughnessy from Clare ( I was named after her) and my maternal grandmother was a Kelly from Sligo. I’ve not heard of any royal connections – but they are on your list! I must say, I love your newsletters and your posts! Hi Kathleen – There were lots of Kelly septs from around the country – but the one from east County Galway was the most important and the one I refer to. Kelly is now the second most numerous name in Ireland and the number one Irish surname in the US. O’Shaughnessy from Clare were very powerful local chieftains – and they are the ones I refer to in my list. Mike. I’m an O’Brien we were always told growing up we were related to Brian Boru indicated by the O=of and the Brien=Brian. What are the chances of that? My family was from Rosscomon before heading to Halifax, Nova Scotia and eventually to Boston, Mass. Maureen – your info is just about right! You do find most O’Briens in Munster – Clare/Limerick/Cork/Tipp/Waterford. Mike. Hi.. I’m going to Ireland for 6 weeks next year and have traced my family to a John Moore who left Ireland with his wife (I suspect on a prison ship) in the early 1600’s (wound up in Nova Scotia, Canada). Is the Moore name a derivitive of O’More?. I plan on heading for the places where my family originated from when I get there. Thats right Sherri – Moore is a common English name – but was used as the anglicised form of Ó Mórdha – one of the prevalent families in County Laois. You’ll still find plent of Moores in that neck of the world. Mike. Hi Georgia – thanks for the feedback. I’m afraid I don’t know the surname Abner at all BUT if it is from Cork, it may be worth looking at the east Cork name of Abernethy (originally a Scottish name now found in Cork). Mike. Hi: I see the O’Connor name is on the list, my husband’s name. Also O’Cahan (Kane) I have a Great Grandmother who left Ireland and moved to Scotland with her parents Robert Kane and Mary (Cooper) Kane. Do you think they changed their name when the went to Scotland? I am having a hard time trying to find them in Ireland. Is there a particular place where most Kane’s came from. Thanks for any help you can give. Sheila – tha Kanes were lords in Ulster up to the time of the plantation – and were moved somewhat at that time. But you will still find plenty of Kanes in Counties Derry and Tyrone. Mike. Interesting info Mike! Thank you so much! I saw someone mentioned they took pics of 7 of the O’Mahony castles in Cork. Is it possible to find out where they are? I only know of 2 right now. Thanks and I hope you can help. Gosh Mary Beth – I saw that too but can’t find it just now. I do know there are more than 2 but I don’t have my info to hand as I am away. Can you ask again in about 2 weeks and I should have some answer for you. Mike. Yep – you’re in Peggy 🙂 Mike. 1 negative thing I would like to point out though…. Ireland was certainly not lawless, that is a statement simply made by the English in order to scaremonger. We lived by a different set of laws, the Brehon laws. They were not savage laws as again history (written by the English) would have us believe. They were complex laws written by educated Irishmen and mostly favored the common man. We were an intelligent race, a land that many scholars came from all over the known world to be educated and learn to write. The Idea that the Irish of the time were illiterate unintelligent scavengers is very much a false history. I was trying to find information out on my last name Irwin. I know I have a lot of family from Cork and I have heard that at some point of time we had castles but I am not sure which ones. I am very interested in my families heritage and would like to know if you have any information. Hi John – Irwin is normally of English planter stock and normally found in Roscommon and Ulster. But there are quite a few Irwins scattered around the good country of Cork, Limerick and Tipperary. One of my favourite soccer players was Denis Irwin – a Cork man who played for Manchester United in the 1990s. Mike. My mother was an O’Brien and my paternal grandmother was a Reilly…I had no idea I had royal blood on both sides of the family…I thought it was just the O’Brien side that gave me blue blood! Perhaps it’s time to sign-up for etiquette lessons, LOL. Nice to find there are a few Crowns in the family Liz! Mike. My grandmother’s maiden name was MacDonagh. I think she came from Sligo, then moved to Tyrone. How can I find out more? Thats right Jane – MacDonagh is a very common name in Sligo. Your question – have a look in the 1911 Irish census online for county Tyrone – search for MacDonagh. Mike. My fifth great grandfather was Patrick Jordan. He was born about 1725 and was transported from County Sligo to America in 1742 after being arrested as a vagrant. He is listed as such in “Emigrants from Ireland to America, 1725-1743”, by the Genealogical Publishing Co., Inc., 1992. The family story says that his parents or grandparents wanted him to be a Catholic priest, but he had other intentions and ran away. There seems to be a huge dearth of records from that time period. Do you think there is any way to discover who his parents were? Hi Patricia – I can’t help with the specifics – but I do know that the “Ireland Reaching Out” people (google them) offer a great free resource. Mike. can you please give me any information on my grandfather James Cork from County Cork or our family James Cork paternal patriarch thank you ahead of time. Hi Charles – I’m not familiar with the Surname Cork from Cork – but is there a chance it could be a shortened version of Corkery? Mike. hi mike can u give info on the lynch trypes of galway were the not royalty as well? Hi Peter – the particular Lynches that were one of the tribes of Galway were a merchant family (as were the other tribes). Mike. i’d love to find out more on the ryan (mulryan) connection. (my dad’s side) i’d also like to find out more about martin’s. (my mom’s side) we’re not sure where my grandfather’s dad came from, only that he was a thomas francis ryan (you see the problem). any help would be wonderful! Hi Nichole on the Ryan side of things – I have put up an explanation at http://www.youririshheritage.com/the-surname-ryan/ – all the best, Mike. Hi Sue – Lavin (Ó Laimhín) is pretty much from the Roscommon area – I not sure of any origins for the name in Cork. Mike. My moms side of the family has the name of keep. Which I’m told used to be O’keefe when we lived in Ireland. I didn’t see my family name up there but they had their own castle were they just a well off family? Hi Dawson – the O’Keefes were a very important family of the Eoghanacht. Originally from the Fermoy area in Co. Cork – but were pushed westward by the Roches and its there that they established “O’Keefe Country”. 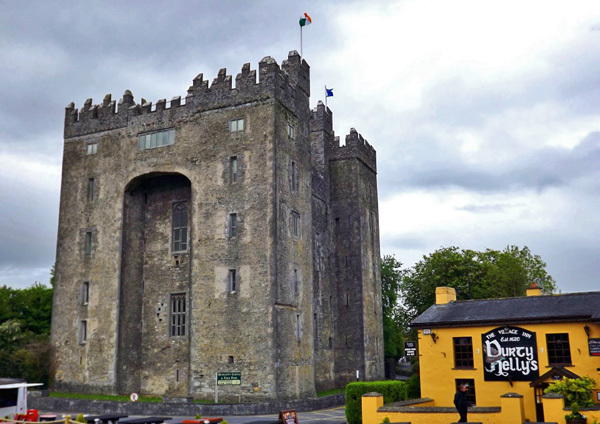 They have a couple of castles – still standing west of the town of Banteer. You know – in my book they do count as Chieftains – so I guess we will have to add them our list! Mike. what happened to the name O’Keefe I know that with the family crest we were part of the royals of Ireland? Hi Bryan – the “royals” of Ireland ebbed and flowed somewhat over time. These were chieftains over their own land. The time I looked at in this article was the mid 1500s – and the O’Keefes were not in my research. But they certainly were chieftains – first of an area around Fermoy in County Cork. They were then moved from there by the Norman Roches – and they left for what became known as O’Keefe Country in North-West Cork. Mike. I love visiting your site and reading everything and anything I can find on Ireland and Scotland. I was wondering if you might be able to help me find any information on the history of the McDonald/MacDonald surnames and maybe the Scottish connections to the same. We (my family on my fathers side) have been able to retrace our family history back to my great grandfather 6 times removed who was named Alexander McDonald (born Abt. 1785, and his wife Catharine last name unknown, born 04 Apr. 1785; died 01 Apr. 1858) but we don’t know where in Ireland he was from. Thank you so much for everything that you post and all the information that you share. Hi Sarah – thanks very much for the feedback and support. The McDonalds in Ireland were typically a branch of a Gallowglass (Mercenary soldiers) from Scotland. Sometimes it was also a version of the Irish surname MacDonnell. Mike. Hi, my dads family name is O’TOOLE and KENNY both from Wicklow. I remember my dad telling me that we came from Royality but i didnt believe him. I have been to Wicklow (lovely and deserves the name-Garden of Ireland) many times and been up into the mountains and seen the tiny wooden shack/cottage/house where my nana was born, amazing. Was my dad telling me the truth? Yep – your Dad was spot on about the O’Tooles (in fact we have put them into our shop with a crown on them – have a look at http://youririshheritage.spreadshirt.com/). Gaffney is the English form of many Irish names – probably Mag Fhachtna is its from Cavan. Mike. Just 2 questions. Is O’Byrne and O’Brien the same? Or are they from the same king (Brian Boru) family. Or have I been told somethings totally wrong ? Hi Karen – they are different names – no connection. O’Byrne typically from around the Wicklow mountains, O’Brien from Clare. Mike. Thank you. That clears that up. Maybe thats why they went to the Catskill mountains in new york when they arrived here. More like home and a huge population of irish there. Hi Karen – I often wonder about that – when given a choice, do we look for a landscape that reminds us of home! All the best – Mike. I can go back to around the early to mid 1800’s from Griffith’s Valuation. My Grandfather John changed the spelling of his name from Kavanagh to Cavanaugh when he came to to States in the early 1900’s. In Griffith’s Valuatuin I see that, I think, My great great grandfather Edward Kavanagh had land in the Parish of Kilmoka in the township of Ballyedock. Just wondering how far back we go in Ireland. Far indeed Edward. The Kavanaghs are a branch of the MacMurrough family – Kings of Leinster for hundreds of years. It comes from the Irish Caomhánach (pronounced “kwave-awn-och”). Mike. Thats right Peggie – Langan is that in Irish and is normally found in County mayo. Mike. Hello!!!! This is so interesting!!! My great great grandfather Thomas Kennedy came from Muff, County Londonderry in 1853. Sailed on the Mary Ann with my g,g, grandmother, Elizabeth (Reid) Kennedy. They sailed with 7 children. I have a copy of the ships manifest with their names and ages. The youngest was Alexander, 9 months old. He was my great grandfather. They emigrated to St. John, New Brunswick, Canada. They were kept on Partridge Island until they were declared healthy enough to go into St. John. Alexander grew up and married a Canadian girl, Elizabeth Buckingham. They lived in Victoria County, Canada. One of their children, Mancle, settled in Northern, Maine, USA. I sure wish I could find out more about Thomas Kennedy’s life in Derry. I’m sure I have relatives there. Thanks for all the wonderful information you share and pictures. I love reading the posts. Kennedy is my mother’s maiden name. Thanks for sharing Sandra!Is it possible that Thomas Kennedys ancestry came from the Scottich Kennedys? Mike. I don’t know! Sure hope to find out. I am loving this whole trip Mike. Thank you!!! Have you heard anything of the O’Lorcain or Larkin family? I find all this information very interesting. But I haven’t seen any thing about the Gallivan clan.. My Great great Grandfather Timothy Gallivan , (and the name is spelled many different ways) married Ellen Sullivan in Kerry Co, Killarney in 1815, they had 5 children, one of whom was my Great grandfather Timothy ( they seem to use the same names over and over) married Ann Lynch in 1860 in Michigan.. I was told that we came from some sort of Royalty, hundreds of years ago, but I can’t find any thing to back that up.. as a matter of fact, I can’t find any more information other than what I have posted. seems like we were dropped off in Ireland from a space ship and no connections to other Gallivan’s have been discovered… The information that I finally did get, was from Catholic Church records. of the marriage and of the births of there children.. then it all stops.. Frustrating to say the least..
Joanne – Gallivan and Galvin are pretty much the same, from the Irish Ó Gealbháin. They were originally from Clare but moved to a few places. It is typcally called Gallivan in Kerry. If you look up the online Irish census (http://census.nationalarchives.ie) for Gallivans in County Kerry you will see what I mean – and probably find a few cousins. All the best – Mike. Hi Claire – I sent you an email on this. Regards – Mike. hey umm well my dad said that we were related to irish royalty and the last name is GARRETT is that one???? Hi Dusty – Garrett is usually an English name that came to Ireland and sometimes it can be a version of the Norman surname Fitzgerald. Mike. My U.S.-born grandmother’s name was Viola Plunkett and my family seems to have descended from the Hon. Catherine Plunkett, whose father was the 4th Baron of Balymascanlan – I’m uncertain about the accuracy of my information. I am just beginning to learn about my Irish heritage so can you tell me about Catherine and give me some direction toward refining my research. Hi Jim – if you are looking for specific records and research for an individual, I recommend that you contact Noreen at http://www.facebook.com/hiberniaroots in the first instance. She should point you in the right direction. All the best – Mike. I know I am Irish due to my last name, I honestly don’t know anything about my Irish Heritage Sadly, all I can say is that my Grandfather is Edward Sullivan and that is all I know of anything. I know this is vague but if you can tell me anything about the surname Sullivan that would be so helpful. One of the top 10 surnames among our readers Sara – see the search box on this page? You can start by typing the name Sullivan into it and see which articles involving Sullivan come back. Leave a question/comment in the articles that you wish to know more about. How does that sound? Mike. My great-grandfather was Christopher Charles O’Rourke who was born in the USA and we really do not have any family on his side to check with. I am just going by what this website presents. so I now know we may have come from Ulster in County Mayo…thank you for all your wonderful information. My great-grandmother Mary O’Rourke was also born in the USA and her maiden name was Divine…I am still checking to see which county she might have been from. O’Rourke is usually around Leitrim and Divine is from Tyrone/Derry. All the best Mike. Hi Mike: Would the MacGeoghegan in Munster have anything to do with the Egan name? Hi Colleen – that would be a different family – although MacGeoghegan is usally from further north than Munster. Mike. Hi Roger – Mealey is used in Ireland still – it is usually a variation on Melly, but has been used for O’Malley also. Mike. Thank you! My 3x grandmother was Bridget Fitzpatrick. She married Bernard Salley in Dungannon in 1849. I am trying to research beyond Bridget. I was in Dungannon in 2011, and plan to travel back to Ireland after learning more. What about Higgins? You’re welcome Joann – Higgins were a famous Bardic family from Mayo. Mike. Is the surname Finley related to the surname Finn? My maiden name is Kealy, and my friends from Ireland tell me that the original spelling may have been Caeiliegh, or something close to that. Although I don’t see either of those names listed, My great-great grandmother was Hannah McCarthy, who came over with my grandmother, who was a child at the time. There was also a Porter in there somewhere, but I’m not sure where that name fits into the line. Thanks for the information and have a great day! You’re welcome Colleen – Kealy comes from the Irish Ó Caolaidhe. Mike. It is pronounced Mur-cawda Pat. Mike. Lots of Kielys/Keilys on our list Susan – just no specific articles yet! Mike. Love the list. Sad to see that none of my family names are on there. My grandda used to say we where descendants of the first queens of Ireland. Guess that was just joshing talk not the truth. Lots of good stories in all our families McCollonough. Mike. Hi! This is a very interesting read! My great grandfather was an O’Neil. I guess that is a variation of O’Neill? We have the journal of my great-great-great grandfather O’Neil who came to America before the American Civil war, but there is no mention of where in Ireland he lived before they came here. Hi Barb – glad you liked it! O’Neil/O’Neill can come from a number of places in Ireland including Tyrone, Kerry, Clare,Waterford and Carlow. Mike. This is all very interesting. Thanks. My name is McGinnis, but my grandfather was born in Donegal as McGuinness. I have many relatives still living in the area. I have found my great and great great grandfather on the various lists available and the name Magennis is also used. I was told that the family originally came from County Down, but will probably never know because of the lack of records. The first time I see the name in Donegal is the early 19th century, so I have no way of knowing if they actually did come from County Down. What is the possibility of this migration, and is the Guinness Brewery descended from the same family from County Down? Hi Arthur (great name!) – all of these names come from the Irish “Mag Aonghuis” and were all from County Down originally. The brewers are from one particular branch of the sept. Mike. Thank you providing such an interesting article. My lineage is both Sullivan and Givens. I was told that Givens is Irish, but they were not on the list of nobles. Would you have any info?? Hi Justin – yes it is. Mike. Hi Brooks – Dennehy is almost exclusive to counties Cork and Kerry – very rare elsewhere. Mike. My 2nd great grandmother, Monica Donahue or Donoghue married Peter Morris. A biography of a relative says that Peter and Monica came from Galway. Their daughter Monica Morris married Patrick Gillespie, census says Monica Morris Gillespie came from Irleland in 1861 at the age of 10. But i can find no passenger records for any of them. Brick wall is frustrating. I suggest you contact Noreen at http://www.hiberniaroots.com – she should point you in the right direction. mary Jo. I was curious because I have heard that my line on the Irish side was from Sutton and Duggan. I was told that we stem two families from Munster. Is there any way to know this for sure? I would not be able to tell you which families we supposedly stem from. But for sure, I stem from Sutton and Duggan on my Irish family. Hi Charles – Duggan spelled with 2 ggs is typcically from Cork and Limerick alright. Sutton is a Norman name normally found in Wexford and Kildare – but some in Cork. I am a direct descendant of the O’Byrnes of Corville and the Netterville’s. Looking to contact any of my clan members out there!